Sunday James Band - Music for weddings and corporate events. Listen to The Sunday James Band! Click here for reviews on The Knot! "​What can I say but your band is AWESOME, FANTASTIC, UNBELIEVABLE! Words cannot describe what an incredible performance you delivered. Everyone was on the dance floor the entire evening, even those who never dance. We are still receiving rave reviews from everyone who attended. Please extend our sincerest gratitude to each of your talented musicians who made our daughter’s wedding the greatest event of our lifetime." We just wanted to thank you and the rest of the band for absolutely crushing it on Saturday night. You helped make our wedding one for the recordbooks; everyone has been and is continuing to rave about how good you guys were." Watch the Sunday James Band live! Click to read about a Bride's experience with us in Philadelphia Wedding Magazine! Click to read what others are saying about SJB! 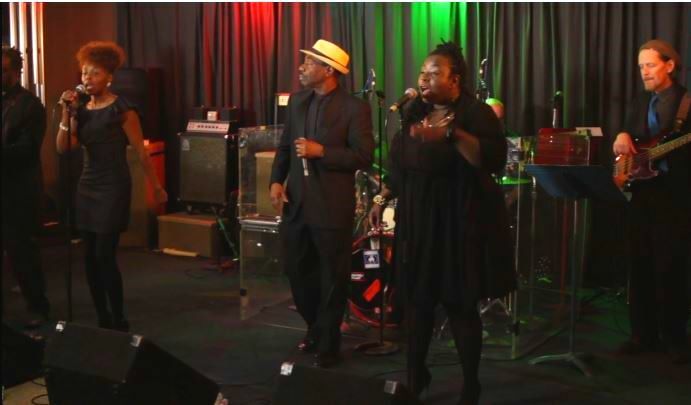 The Sunday James Band (SJB), sister band to the hugely successful Philadelphia wedding band, the Vincent James Band, is comprised of seasoned musicians. The pure talent and energy of this band are sure to make any special event a rousing success. Its members have played with various R&B, country, pop, hip-hop, gospel and jazz artists including: James Taylor, Carly Simon, John Belushi, The Jefferson Airplane, Will Smith, DJ Jazzy Jeff, Patti Labelle, Jill Scott, Musiq Soul Child, Kindred, Paula Abdul, Bell Biv Devoe, Gladys Knight and the Pips, Al Jarreau, Dave Koz, Michael McDonald, The Tymes, Joan Osborne, The Hooters, Sammy Hagar, Gerald Albright, Joe Perry of Aerosmith, Destiny’s Child, Chick Corea , Trisha Yearwood, Jimmy Buffet, Trace Adkins, Charlie Daniels, Aaron Neville, Shawn Colvin, and many more. Additionally, SJB’s members have performed at countless hotels and country clubs as well as prominent locations, such as Veterans Stadium, the Spectrum, the Wachovia Center, Lincoln Financial Field, Madison Square Garden, the White House, and other locations in the United States and abroad. SJB’s music collection is very expansive including jazz, swing, pop, Motown, salsa, disco, rock-n-roll, R&B, current hits, and standards. The band specializes in weddings, bar/bat mitzvahs, corporate functions, fundraisers, and all special occasions and will provide all of your entertainment needs with talent, professionalism, and courtesy.